This is a general survey of Masonic origins, history and philosophy. It was at one time given to every new Mason in Iowa. 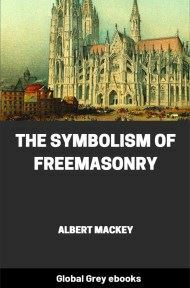 This is a scholarly but approachable treatment of Masonry and will be enlightening both to practicing Freemasons and a general audience. When we inquire into origins and seek the initial force which carried art forward, we find two fundamental factors—physical necessity and spiritual aspiration. Of course, the first great impulse of all architecture was need, honest response to the demand for shelter; but this demand included a Home for the Soul, not less than a roof over the head. Even in this response to primary need there was something spiritual which carried it beyond provision for the body; as the men of Egypt, for instance, wanted an indestructible resting-place, and so built the pyramids. As Capart says, prehistoric art shows that this utilitarian purpose was in almost every case blended with a religious, or at least a magical, purpose. The spiritual instinct, in seeking to recreate types and to set up more sympathetic relations with the universe, led to imitation, to ideas of proportion, to the passion for beauty, and to the effort after perfection. 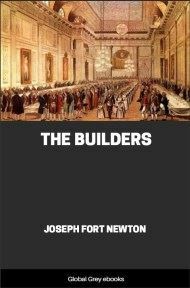 Man has been always a builder, and nowhere has he shown himself more significantly than in the buildings he has erected. When we stand before them—whether it be a mud hut, the house of a cliff-dweller stuck like the nest of a swallow on the side of a cañon, a Pyramid, a Parthenon, or a Pantheon—we seem to read into his soul. The builder may have gone, perhaps ages before, but here he has left something of himself, his hopes, his fears, his ideas, his dreams. Even in the remote recesses of the Andes, amidst the riot of nature, and where man is now a mere savage, we come upon the remains of vast, vanished civilizations, where art and science and religion reached unknown heights. Wherever humanity has lived and wrought, we find the crumbling ruins of towers, temples, and tombs, monuments of its industry and its aspiration. Also, whatever else man may have been—cruel, tyrannous, vindictive—his buildings always have reference to religion. They bespeak a vivid sense of the Unseen and his awareness of his relation to it. Of a truth, the story of the Tower of Babel is more than a myth. Man has ever been trying to build to heaven, embodying his prayer and his dream in brick and stone. For there are two sets of realities—material and spiritual—but they are so interwoven that all practical laws are exponents of moral laws. Such is the thesis which Ruskin expounds with so much insight and eloquence in his Seven Lamps of Architecture, in which he argues that the laws of architecture are moral laws, as applicable to the building of character as to the construction of cathedrals. He finds those laws to be Sacrifice, Truth, Power, Beauty, Life, Memory, and, as the crowning grace of all, that principle to which Polity owes its stability, Life its happiness, Faith its acceptance, and Creation its continuance—Obedience. He holds that there is no such thing as liberty, and never can be. The stars have it not; the earth has it not; the sea has it not. Man fancies that he has freedom, but if he would use the word Loyalty instead of Liberty, he would be nearer the truth, since it is by obedience to the laws of life and truth and beauty that he attains to what he calls liberty. All building, therefore, shows man either as gathering or governing; and the secrets of his success are his knowing what to gather, and how to rule. These are the two great intellectual Lamps of Architecture; the one consisting in a just and humble veneration of the works of God upon earth, and the other in an understanding of the dominion over those works which has been vested in man. What our great prophet of art thus elaborated so eloquently, the early men forefelt by instinct, dimly it may be, but not less truly. If architecture was born of need it soon showed its magic quality, and all true building touched depths of feeling and opened gates of wonder. No doubt the men who first balanced one stone over two others must have looked with astonishment at the work of their hands, and have worshiped the stones they had set up. This element of mystical wonder and awe lasted long through the ages, and is still felt when work is done in the old way by keeping close to nature, necessity, and faith. From the first, ideas of sacredness, of sacrifice, of ritual rightness, of magic stability, of likeness to the universe, of perfection of form and proportion glowed in the heart of the builder, and guided his arm. Wren, philosopher as he was, decided that the delight of man in setting up columns was acquired through worshiping in the groves of the forest; and modern research has come to much the same view, for Sir Arthur Evans shows that in the first European age columns were gods. All over Europe the early morning of architecture was spent in the worship of great stones.